Although the actual distance covered is only about 2 ½ miles, you should allow a whole day to explore the museums and park. 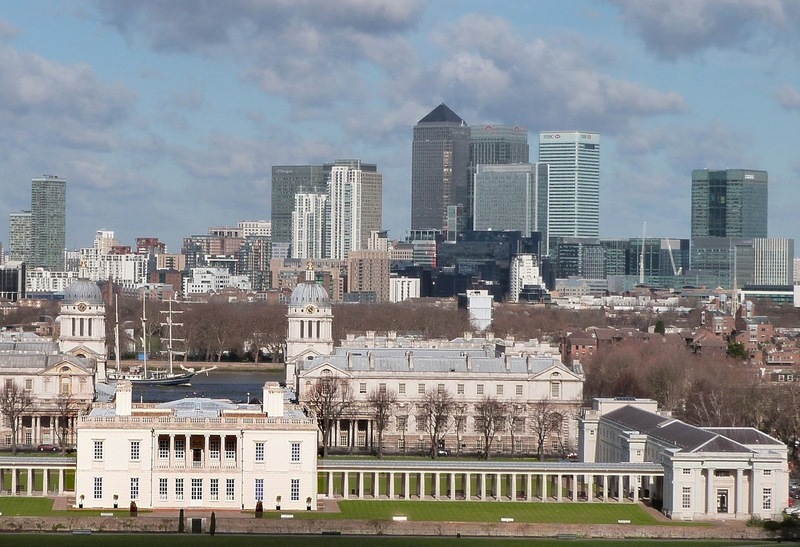 Greenwich is a World Heritage Site. The reasons for this become clear when you see Wren’s magnificent old Royal Naval College buildings, the beauty of the chapel, the grandeur of the Painted Hall, the Royal Observatory on the hill where so much important work was done. From here you look down at a panorama of London - a wonderful mingling of old and new. Way down on the river craft of all shapes and sizes come and go, while the masts of the newly restored Cutty Sark loom over the small town that is so full of history. To begin your tour, turn left on leaving the DLR station. At Greenwich Church Street go left again - and suddenly, there she is! The Cutty Sark was the last of the tea clippers and is open to the public again after major restoration that in the end took 6 years and £50 million to complete. 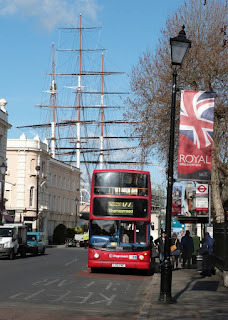 At peak holiday times there is great demand for tickets to visit the ship, so you should book before you come to Greenwich, though even without tickets you will be able to view her ‘floating’ on the new ‘sea’ - a thrilling sight.. For the strange story behind the name 'Cutty Sark' click here. You may be puzzled by the domed brick structure on the riverside – it’s the entrance to the Greenwich Foot Tunnel* that runs under the Thames to the Isle of Dogs. Next to the tunnel is the new pier where Thames Clipper boats go upstream to central London or downstream to the 02 and Woolwich. 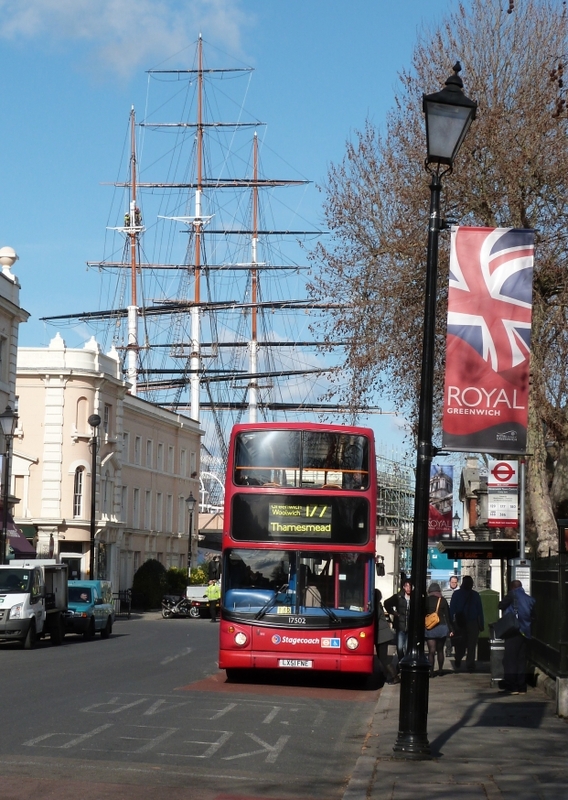 Now is a good time to go to the Information Centre situated behind the Cutty Sark. This comprises the excellent (free) Discover Greenwich exhibition, a cafe and shop. 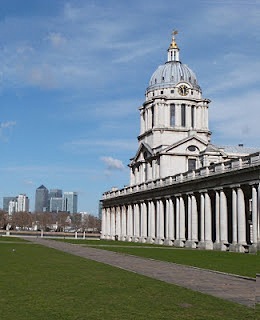 After this continue eastwards to the Old Royal Naval College (visiting times). These buildings were originally part of The Royal Hospital for Seamen at Greenwich (history) founded in 1694, which housed sick and injured sailors. It continued in this capacity until 1869. In 1873 it became the Royal Naval College and until 1998, when the college relocated to Dartmouth, Royal Navy officers were trained there. 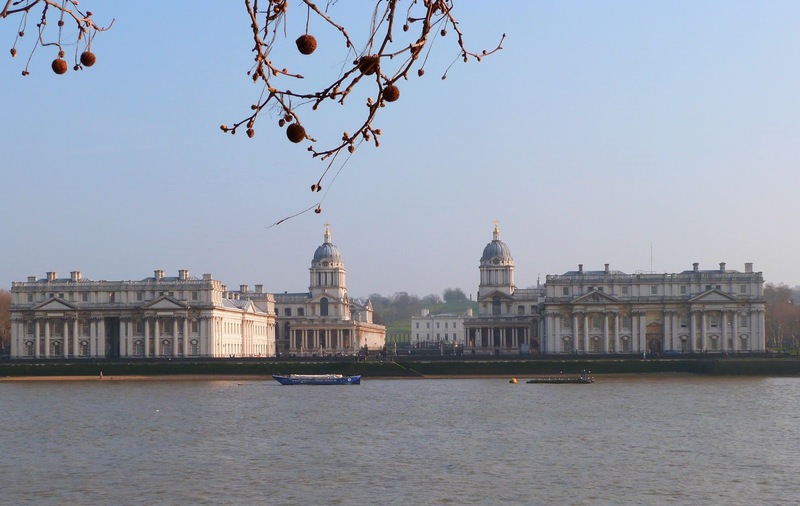 In 1999 The University of Greenwich leased part of the site for 150 years. When you reach Grand Square, pause for a moment to take in the breathtaking view from the river gate - look up at the whole range of buildings, right through to the Queen’s House and beyond, to Observatory Hill. The other way, the towers of the Canary Wharf business centre in Docklands have a strange, cool beauty of their own. Ahead and to the left is Queen Mary's block which includes the Wren/Hawksmoor Chapel whose interior is full of intricate plasterwork in pastel colours. Opposite is King William's block with the majestic Painted Hall where Nelson’s body lay in state after his death at the Battle of Trafalgar before being taken to Whitehall in a great river procession. On the west side of the square nearest the river is the King Charles' block, occupied by Trinity College of Music (you may hear the students practising) and on the other side Queen Anne's block, used by the University of Greenwich. Continue walking east until the buildings end, then go through the manned gate to Park Row. 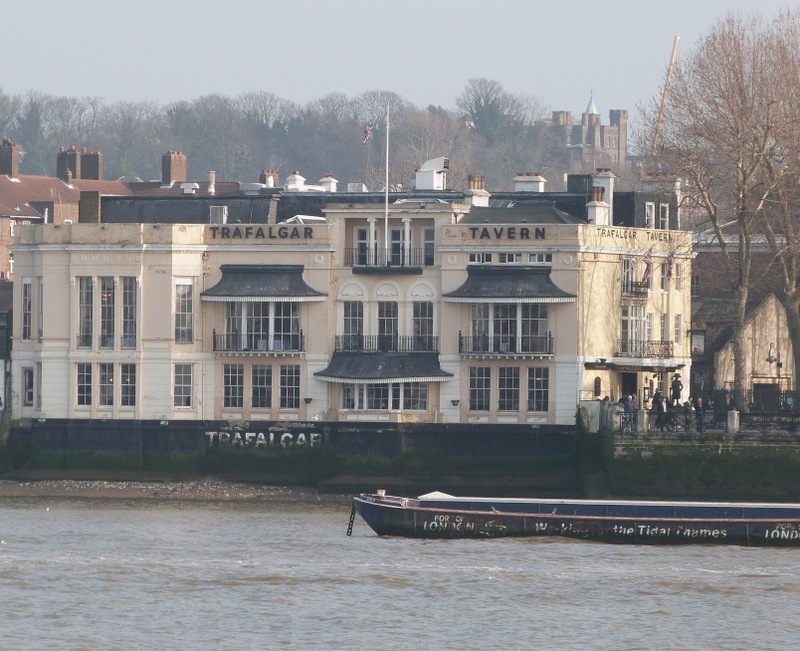 Cross over and turn left to the Trafalgar Tavern where the famous Whitebait Suppers were eaten – Dickens is known to have dined there on several occasions. 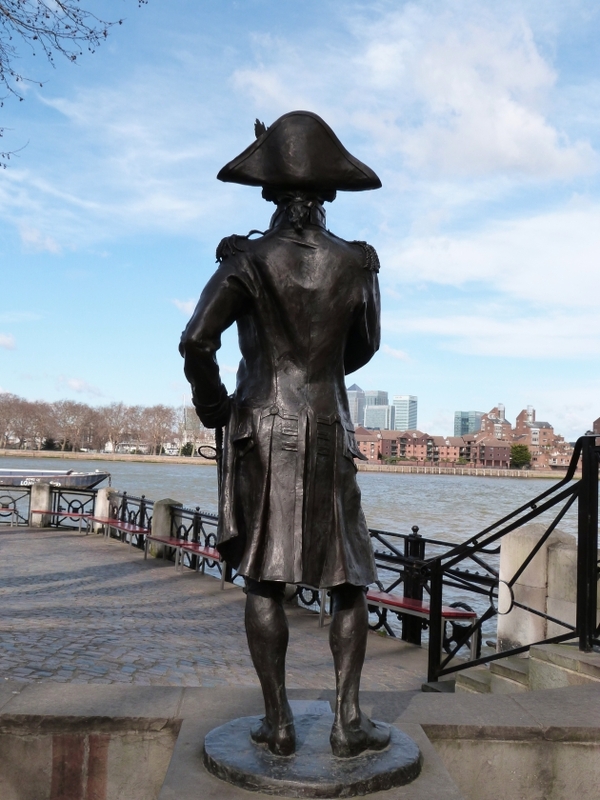 A charming statue of Lord Nelson watches over the Thames - there's far less traffic than there would have been in his day. Turn back and go into Crane Street (where ships were once unloaded). Here there is another riverside pub, the Yacht. Further along, after a small modern housing development in High Bridge, is the attractive Trinity Hospital (almshouses) founded in 1613 but rebuilt in 1812. Next door is the very different - somewhat sinister - Greenwich Power Station and its coal jetty which was completed in 1908, when the area was much more industrial than it is now. It is a vast structure – had to be to take the original steam engines (now gas and oil are used) and is on permanent stand-by to provide emergency back-up to the London Underground system. Please note that work is being done to upgrade this facility, so there may be restricted access to the riverside at this point. If this is the case, simply turn inland and walk back towards the river at the next available turning. You should note the flood markers in the river wall nearby and be thankful for the Thames Barrier downstream at Woolwich. Continue along Ballast Quay to the Cutty Sark pub of 1804 and some early Victorian buildings including the old Harbour Master’s House. 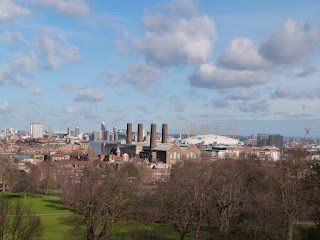 There are some great views down river to the O2 and across to the Isle of Dogs. Go back the way you came until you get to Park Row again. Back to the main part of the tour: cross Romney Road at the lights to reach the National Maritime Museum. 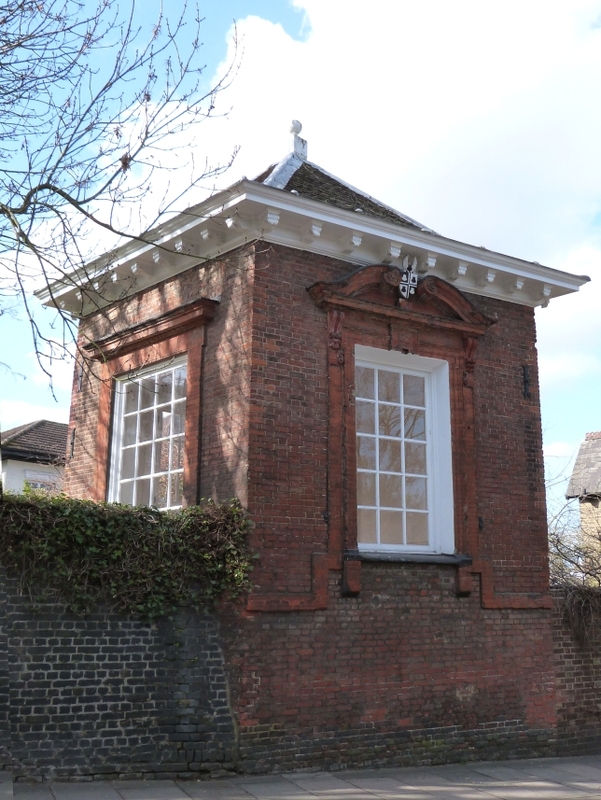 Constructed in 1807, it was originally a school for the children of sailors. The building beyond it is the Queen’s House by Inigo Jones (1573-1652), the first fully classical building in England. Sadly, the Queen who commissioned it, Anne, wife of James I, never lived to see it completed. Over the years it has been used as a grace-and favour house and a home for the orphans of seafarers. 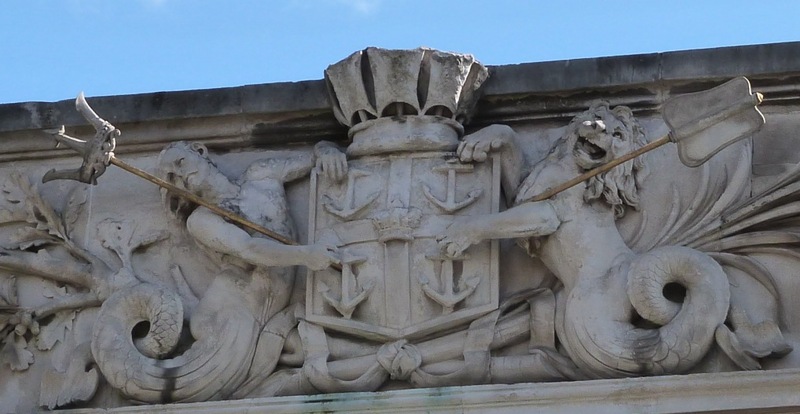 Now it is part of the National Maritime Museum. (Admission is free for both, though there is a charge for special exhibitions.) 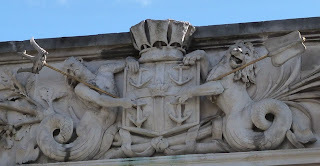 The Museum is a treasure-house of everything to do with ships and maritime trade of all kinds. The Royal Observatory is perched on the top of the hill - here people from all over the world have fun standing with one foot in the Western Hemisphere, the other in the East. The Zero Meridian line is marked out on a path with railings to the right of the entrance to the Royal Observatory in Wren’s Flamsteed House. If you have any interest in astronomy this will be a special - even romantic - place for you, as so much important work was done there. One of the most eminent Astonomers Royal was Edmond Halley (1656-1742) of comet fame. 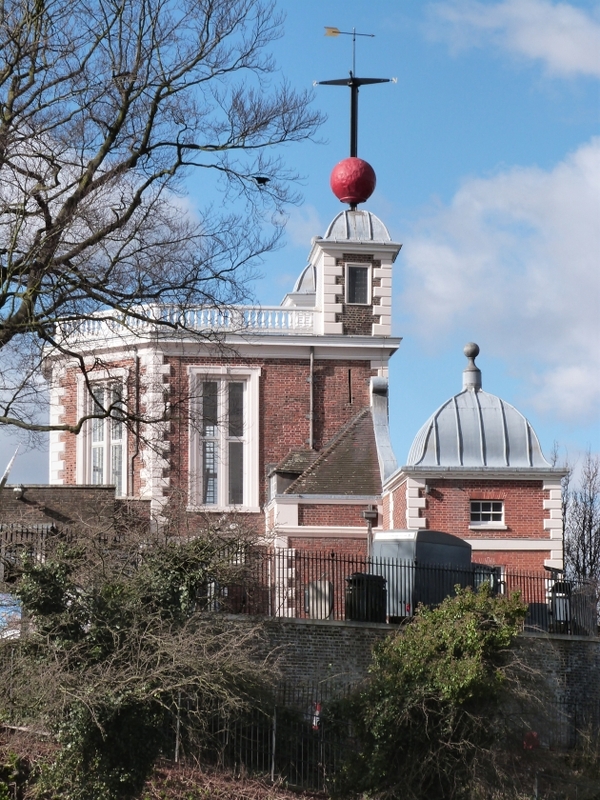 The red ball on the roof of the Observatory is a time ball which (when working) drops down the pole at one o’clock – an early public time signal visible to shipping on the river. The work of the Observatory is now carried out at Cambridge. 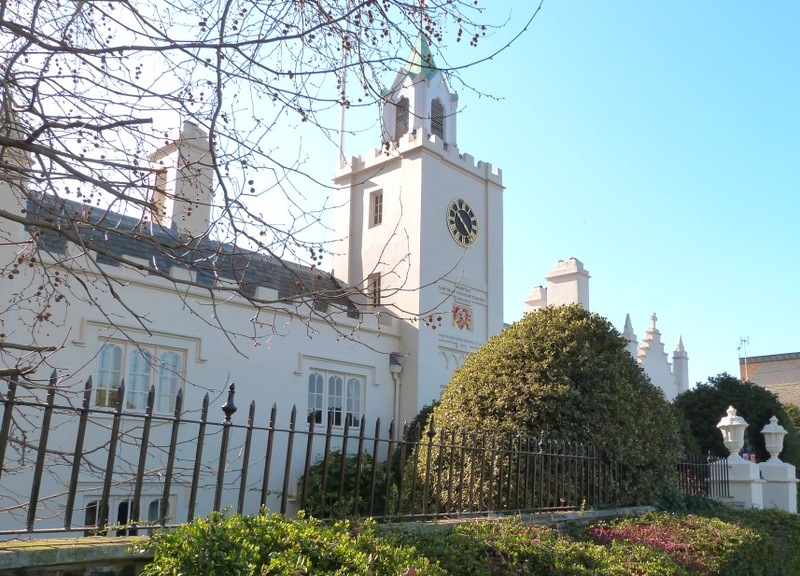 Today Flamsteed House is an extension of the Maritime Museum and houses a collection of marine clocks and navigation instruments, the development of which was of immense importance to sea trade. Nearby is a statue of General Wolfe (1727-1759) hero of the Battle of the Plains of Abraham in which he was killed. This battle led to the British being able to take Quebec from the French. Wolfe lived in Greenwich and is buried in St. Alfege Church (see below). 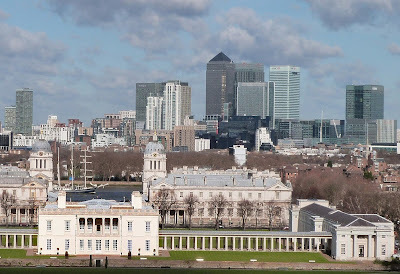 From this vantage point on the hill there is a majestic view down towards the old Wren buildings – Canary Wharf again forming a surreal backdrop. To the right is the power station and to the right of that the white dome of the O2. Walking further up the hill will take you to the Planetarium, described as ‘a tour bus of the Universe’. If you explore the park further, you will find ancient sweet chestnut trees with their twisted trunks. These are survivors of the avenues created in the seventeenth century for Charles II. 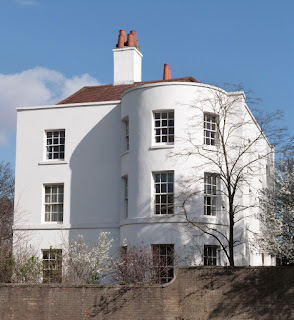 When you are ready for the next part of the route, turn right off Blackheath Avenue, just after the Pavilion Tea House and take the path to the right towards Croom’s Hill Gate to discover a little ‘secret’ arched exit. At the end of a small track you will emerge into Croom’s Hill. Walk to the left for Macartney House (a mixture of styles and dates) where General Wolfe lived. A little further on is the Rangers House (note limited opening hours). This red-brick Georgian villa is home to the unusual Wernher Collection which includes Renaissance jewellery and carved ivory as well as paintings. Retrace your steps and begin walking down towards the town. Just past Croom’s Hill Gate you can see the White House once lived in by an eminent Astronomer Royal, Sir George Biddell Airy. 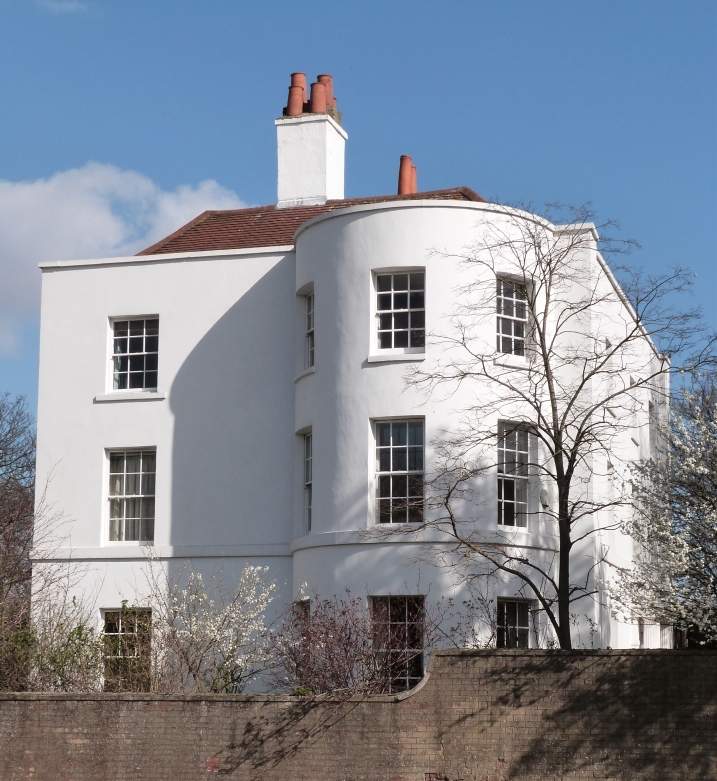 The striking full-height bow window was added in the mid 18th century. As you wander down the hill you will see many more old houses. Don’t miss the gazebo (1672) set in the wall of The Grange (No.52) and when you come to a stately terrace near the end of the road look out for the Fan Museum. This is an intriguing collection, constantly changing and well-displayed. After that the road becomes Stockwell Street. 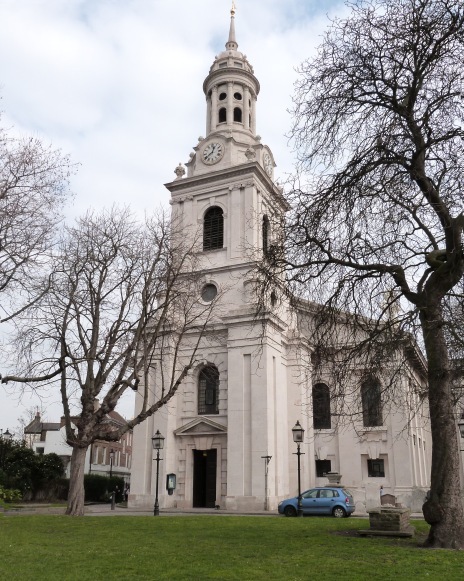 Make your way right down to the town passing Greenwich Theatre on the corner with Nevada Street, and go over the main road by the zebra crossing to St. Alphege, a Hawskmoor church, which is usually open every day. On coming out of the church turn left down Greenwich Church Street. Cross Creek Road at lights to get back to the DLR station for your journey home. I think it likely that you will want to return before long - there is so much to discover in Greenwich that it is not possible to do it justice in a single day. Most of the route presents little difficulty for those with buggies etc., but Observatory Hill is quite steep. Instead of trying to reach the top from behind the museums, as suggested above, you could try using The Avenue which starts at the St. Mary’s Gate entrance at the bottom of King William Walk and is comparatively gentle. At the junction with Blackheath Avenue you should turn left to get to the Planetarium etc. It is, however, quite a long walk, taking 15-20 minutes. 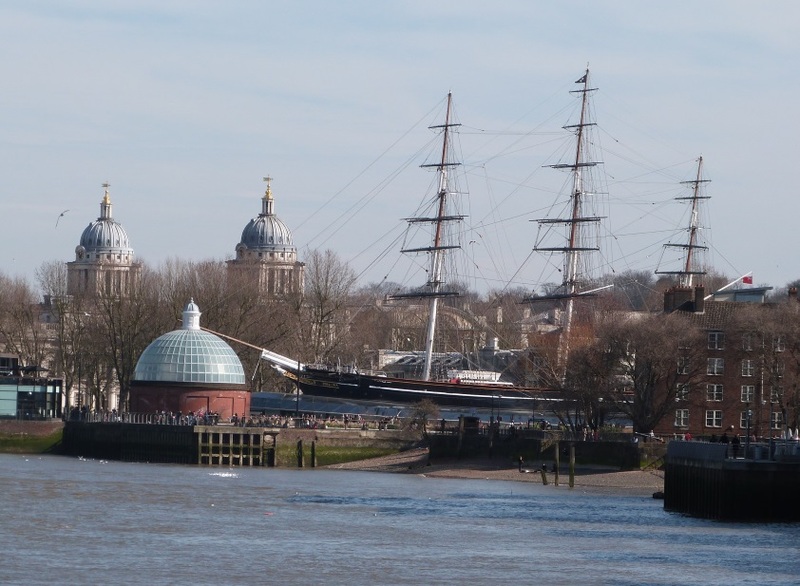 Greenwich is just one walk from the many to be found at London Tube Rambles. There are architectural gems, beautiful country views, historic places and quirky buildings even in the most unpromising areas covered by the outer London Underground stations. Usually the discoveries are within a mile of the Tube - often only five minutes walk away. If you reached this as an individual page via a search engine, you might like to go to www.londontuberambles.co.uk to see the other destinations explored. You'll be amazed at what's out there!